In the wake of Hurricane Harvey, there are many opportunities for all of us to donate and offer help…but how do we make a Donation Happen? I’ve learned there are 4 key elements that have to exist before the donation actually comes through. I’ve broken them down as follows in making a donation happen: Knowledge, Ability, Willingness and Action. Knowledge: You have to know about the need and opportunity to help before you can contribute. Until we learn about the avenues of where to donate our resources, this alone will prevent us from putting forth the effort to making a donation happen. Ability: Whenever a catastrophe strikes, the needed resources to help everyone are so great that one individual or one organization can’t serve everyone immediately. This is why you or your organization can only help within your means. You can only donate financial resources with what you can afford or have raised. You can only donate time if you can afford to be away from other obligations. You can only provide material resources if readily available or within your financial resources. You can only donate resources with what you are able to part ways, without creating additional hardships on your own family or organization. Willingness: Most of us have a big heart willing to help others but not necessarily everyone. Depending on who or what organization the help is for, will determine your willingness to help. If the catastrophe is happening to your own area or your own family, your willingness is greatest. Areas more distant or outside of your immediate relations may or may not get your willingness to offer help. Once you are willing to help, any challenges ahead will only be viewed as simple obstacles to overcome. Action: Great intentions without action are nothing but a great idea. Now that you have the knowledge, ability and willingness to donate and/or offer help, sitting around is nothing but a wasted opportunity. Stand up and do what is necessary to fulfill your desire to offer help. Take Action and make your donation happen. 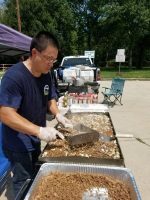 Recently, I joined a couple local chefs in Raleigh, NC area to venture out to Houston, TX to serve one of many neighborhoods severely hit by Hurricane Harvey. Their entire neighborh ood was under 6’-10’ of water during its peak. 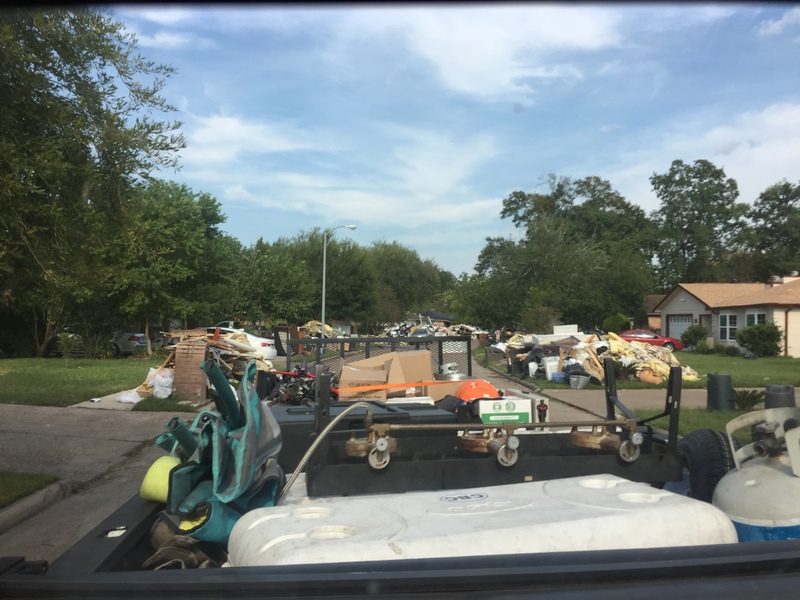 During our visit to the area, every home in the neighborhood had piles of furniture, clothing, toys, appliances and construction material in their front yards. Many of them had vehicles in the street or drive way that were water damaged and would not start. Until we arrived, many had not had a hot meal in almost a week. We were blessed with the support of our friends and family who donated financially to fund our trip to Houston. We purchased and prepared enough food to feed 1000 meals during our visit. Setup in the neighborhood park, we assembled our buffet line for the families to enjoy a hot meal. All of the families had lost just about everything they owned. However, all of them could still come to us with a smile on their faces, as they were ultimately grateful for our efforts. This couldn’t have happened without the support and contributions of everyone who made this happen. We couldn’t help every family with all of their needs, but we sure made one hot meal become one step closer to their recovery. This experience helped me better understand the power of giving, but ultimately the priceless assets we as chefs have to give during this crisis. These resources help make a donation happen. 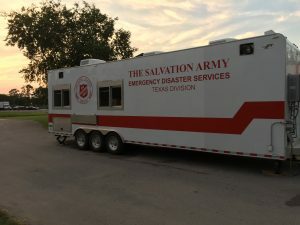 Check out a related story by the Salvation Army in Houston regarding our visit to the neighborhood we served. With the impending destruction from Hurricanes Irma & Jose, we hope this story inspires others to plan to help those in need in some way. Concerted efforts can do so much, every little bit adds up and can make a big difference in recovery for those impacted by these natural disasters. Make Today Great by helping others for a Greater Tomorrow!